Over the course of a decade (1933-1943), the New Deal fundamentally reshaped the relationship of the artist to society and of the public to the visual arts. The theory and practice of art, previously reserved for college classrooms and exclusive museums, suddenly and rapidly expanded into every corner of the nation. 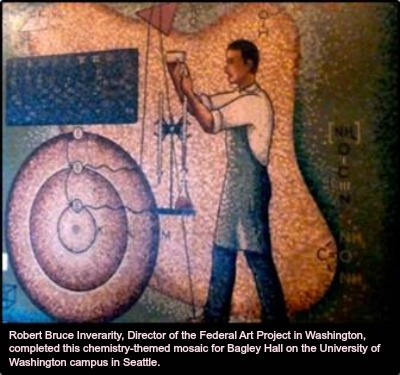 In Washington State, close to 20 post offices became home to high quality murals, while zoos, high schools and hospitals, among other venues, hosted public displays and exhibitions. Artists at all stages of their careers benefited from the programs, which offered both a steady paycheck at a moment of economic collapse and an unprecedented opportunity for community engagement and feedback. 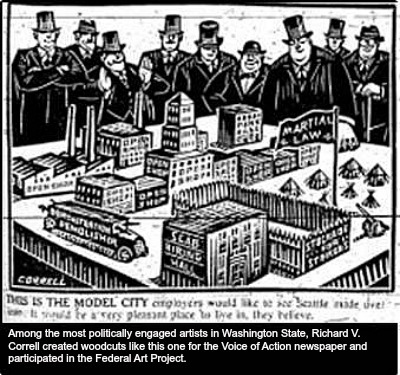 This special section explores the New Deal art programs that operated in Washington State and profiles some of the artists whose work can often still be found in post offices, schools, and other public buildings. Beginning with the Public Works of Art Project, launched in December 1933 as part of the Civil Works Administration (CWA), the government would invest in the arts as never before, eventually employing well over 5,000 men and women to create and teach in creative fields such as painting, weaving and sculpture. 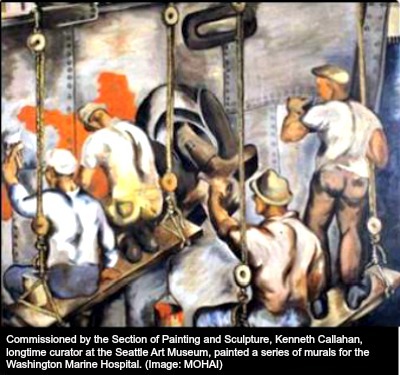 As a result of these programs, which also included the Treasury Section of Painting and Sculpture (the Section), the Federal Art Project (FAP) and the Treasury Relief Art Project (TRAP), thousands of murals, easel paintings, sculptures and fine handicrafts were created, leaving a legacy that is still visible today. 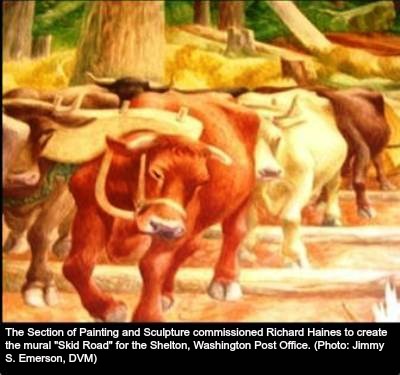 Here are the post office murals that can be seen in Washington state. 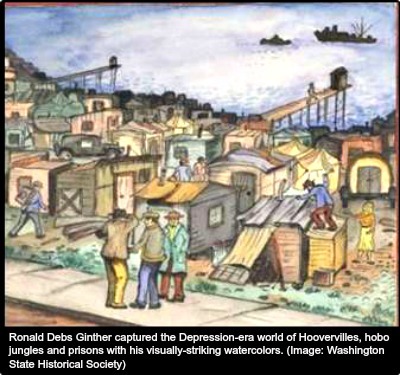 In Washington State, which had only recently begun to flourish as a center of the visual arts with the establishment of the Cornish School, the creation of a Department of Painting and Design at the University of Washington, the founding of the Henry Gallery and the opening of the Seattle Art Museum, the Depression might well have spelled disaster. 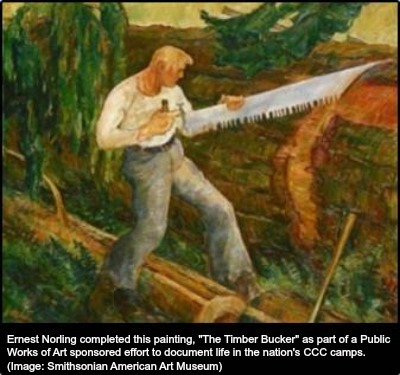 Instead, as a result of the federal investments and diverse opportunities offered by the various New Deal initiatives, some of the region's best known artists, including Kenneth Callahan, Fay Chong, Mark Tobey, Morris Graves, Ernest Norling, and Ambrose Patterson, as well as dozens of other gifted individuals, were able to grow and develop their talents, while remaining gainfully employed in creative pursuits. 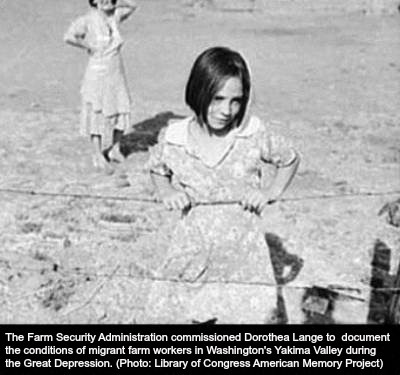 In addition, the various New Deal programs also offered the public unprecedented access to the visual arts, both because of the location of much of the work (free public buildings) and the themes and style - predominately figurative scenes of local life, history and folklore. While at times overly heroic and celebratory, the art was undeniably democratic in nature, telling stories and representing landscapes that had been absent in the renderings of previous generations. Eleanor Mahoney is the coordinator of this special section on Visual Arts.